Trump was asked by reporters as he entered the U.N. on Tuesday if he was considering firing Rosenstein. Trump didn’t address Rosenstein’s long-term future, only that they would meet when the president returns to the White House later this week. Rosenstein expected to be fired on Monday when he met with White House Chief of Staff John Kelly. But Rosenstein and Trump spoke by phone later Monday and decided to meet in person on Thursday. Rosenstein’s future has been in question after a report that he suggested recording Trump and removing him from office. 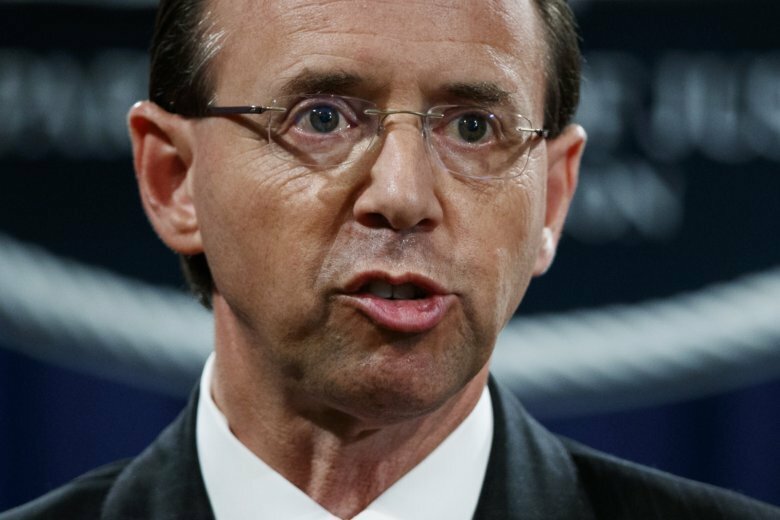 Rosenstein oversees special counsel Robert Mueller’s investigation into Russia meddling in the 2016 election and possible collusion with the Trump campaign. White House spokeswoman Sarah Huckabee Sanders is leaving unclear whether President Donald Trump has confidence in the No. 2 man at the Justice Department. The deputy attorney general, Rod Rosenstein, is facing a showdown with President Donald Trump over whether Rosenstein will keep his job. He is expected to meet with the president at the White House on Thursday. A sure topic are the media reports that Rosenstein had discussed secretly recording Trump and possibly using constitutional procedures to remove him from office. Rosenstein disputes those reports. Rosenstein met Monday with White House chief of staff John Kelly. A person familiar with the situation tells The Associated Press that Rosenstein expected to be fired. He ended up speaking by phone to Trump himself, and questions about his future were effectively tabled until Thursday. Rosenstein oversees special counsel Robert Mueller and his Russia probe, which would fall into uncertainty if Rosenstein left the Justice Department.